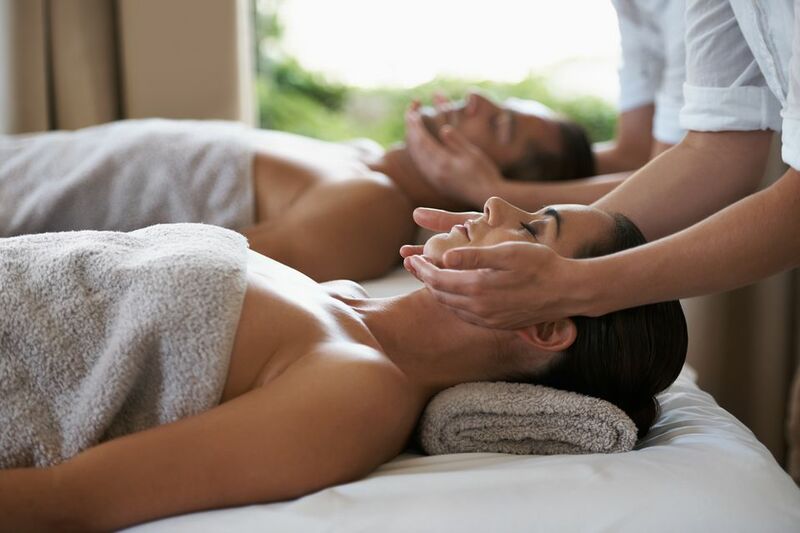 Couples treatments are so popular that more resort spas, like Alvadora Spa at The Royal Palms in Phoenix, have several couples suites to accommodate demand. Watch Now: How Does a Couples Massage Work? Tipping at the spa adds another 15 to 20%. I will confess: I have never, ever had a couples massage. The idea of getting a massage with someone else in the room, even my husband, leaves me cold. What if he wants to talk and I don't? Or the other way around? I'm not alone. Many experienced spa-goers find it distracting to be in the same room at the same time with anyone else during a massage. They prefer to get their massage alone and then meet up afterward. The potential problems come if you have different expectations and needs during a massage, particularly if one person wants to zone out and the other likes to talk. It helps if you know how much the other person likes to talk during a massage — a lot, a little, or not at all — and whether it's a good match for you.